What can we say about Kevin? Quite a lot actually inventor, businessman, photographer, consultant, manufacturer. He is one of our main supporters and also adviser when it comes to taking the next steps. His relationship with technology started when he had his first small home theatre at the young age of 8 years old in Timaru. As a child he was mesmerised with wireless technology like walkie talkies, was there when magnetic audio tapes and then the Philips audio cassettes came to NZ. He was one of NZ’s earliest wedding videographers and was part of the team that produced NZ’s first commercial for sale retail DVD. Kevin was an early owner of Amiga’s, Sinclair and IBM clone computers and his latest acquisition is a class set of Apple computers that will be put to good use at Techvana. His company ICE AV is now sought after world wide by companies who have specialist and unique display technology display requirements that are used in a diverse range of situations ..his byline “The Magic is in the Screen”. These have included submarine simulator, digital windows, daytime projection system. He invented the HoloDesk DJ system that can be used in commercial and entertainment situations and builds racing car simulators under the SimDeck brand. Many around the world now wish to represent him to access his products and expertise. 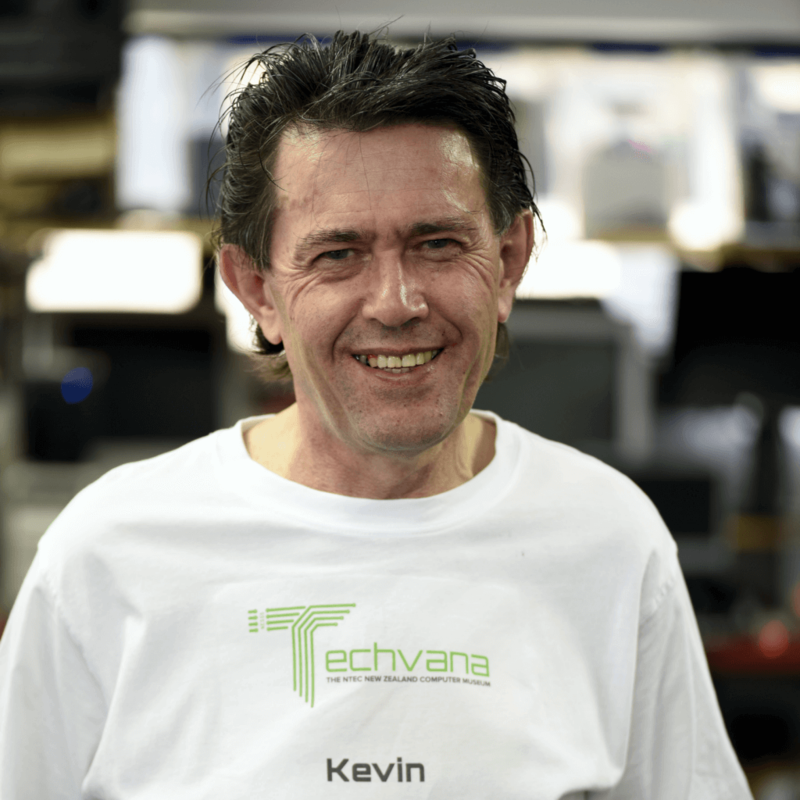 Kevin is passionate about all forms of technology that can are coming to the fore today, such as robotics, gesture control, interactive, 3D printing and is committed to sharing his knowledge, resources and expertise with those who engage with Technvana. His vision is to see Techvana become a global family and to create opportunities based around technology in all its various forms.